Growing up in a society that stigmatises menstruation, two women social entrepreneurs in a border village of Jammu and Kashmir are battling the taboos attached to what is a routine biological process. They are not only creating awareness but also manufacturing and selling sanitary napkins to help poorer women who cannot afford branded products. Mir Musharraf, 18, and Mubeena Khan, 25, who grew up in an orphanage in Kupwara, began their entrepreneurial journey two years ago, knowing well the arduous task they had chosen for themselves. "We have experienced what women in Kashmir, particularly in the border and rural areas, go through during their periods. It's not only about the stigma, it is also about hygiene during periods," Mir told IANS. Khan added: "It was never going to be easy. We knew that. Talking about menstruating is not easy even with women in Kashmir. But we wanted to defeat the stigma." Mir, who originally hails from Keran village, some 100km north of state capital Srinagar, lost her father, a farmer, to blood cancer when she was still young. Keran, the last village of the eponymous border sector on the Line of Control (LoC) that divides Jammu and Kashmir between India and Pakistan, has often faced the brunt of military skirmishes between the armies of the two countries. Mir's family had to relocate to Kupwara in the early 1990s after frequent heavy cross-border firing ripped the village apart. That was when militancy in the Kashmir Valley was at its peak and Pakistan was actively pushing armed insurgents into the Indian side under cover of border firing. After her husband's death, Mir's mother had no other means of income to sustain the family. She got her daughter admitted to Basaira-a-Tabasum, an orphanage in Kupwara town run by Borderless World Foundation, a Pune-based non-governmental organisation that helps with the socio-economic development of people in border areas. At the orphanage, Mir became friends with a "like-minded" Khan, who had also lost her father when she was just two-and-a-half. The girls grew up in the orphanage that not only sheltered and fed them but also equipped them with entrepreneurial skills to be the agents of socio-economic changes in Kupwara—an area where an estimated 40 per cent of the population lives below the poverty line. Remembering their days in the orphanage, both Mir and Khan recalled how they used to talk for hours daily, planning what they wanted to do in their lives. "I always wanted to do something for women, particularly those living in border areas. But I had not imagined even in my dreams that I would be talking about menstruation so openly, leave aside producing sanitary napkins," Mir said. "Actually, Mubeena came up with the idea and you know why," she asked matter-of-factly. Khan had always felt perplexed about the treatment women got during their menstrual cycles. They are not allowed inside kitchens, they are not allowed to pray, they become untouchables during their periods. "The most difficult battle in the war against such evils was with ourselves. We, as women, too believe in the traditions and it is very, very difficult to break the norm. And believe me, many girls drop out of schools because of this," Khan, whose village, Helmatpora, also lies on the LoC, told IANS. And equally important was making women aware about hygiene and other health issues associated with periods. Hundreds of studies have conclusively revealed that the practice of using cloth during periods is associated with very high risk of cervical cancers. 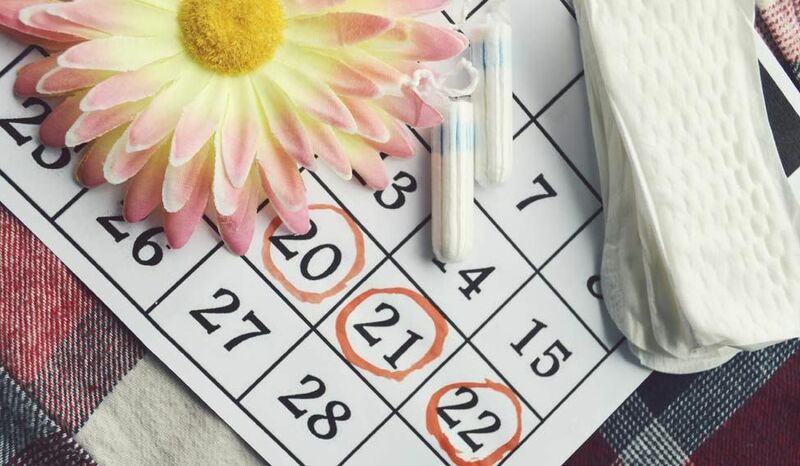 "When we get our first period, our mothers generally hand us a bunch of rags with strict instructions that we should not talk about it openly and stay away from the rest of the family," she said. "Imagine when we set out to talk about this openly. I remember how people, in fact girls, used to whisper about our 'shamelessness'. But nothing would stop us." The two girls have conducted hundreds of awareness camps in schools, colleges and community centres talking about the issue. The next step was their own self-empowerment and the empowerment of as many women as possible in their extended neighbourhood. Eventually, they spoke with the Borderless World Foundation and shared the idea of setting up a cost-effective sanitary napkin manufacturing unit in Kupwara. They began researching on the Internet, reading about their proposed business before travelling to NIRMA Industries training centre in Solapur, Maharashtra, where they were incubated for three months and taught how to handle machines, grinders and other nitty gritty of the business by experts. The real challenge was to raise the money needed for investment and also working capital. Iqra Javed, project officer with the Borderless World Foundation in Srinagar, said the foundation itself invested nearly Rs 12 lakh to set up and run the unit. Apart from this, the foundation helped them win Rs 300,000 as investment at a 2016 start-up competition by the Tata Institute of Social Sciences and Chinar Internationals, a Srinagar-based NGO helping start-ups. And finally came the time to make a 'Happy Choice'—the name they gave to their business unit. Machines and raw material were brought and the unit was set up at the Borderless World Foundation-run women development and social-entrepreneurship centre, Rah-e-Niswan, in a shanty structure in Solkute, 6km from Kupwara town. The plan was to start production at the Solkute centre and establish a supply chain to distribute the product to other villages of the district. "It was a 24-hour job. Right from the production purchases to the product, and then marketing, was all done by the two of us," Mir said. "It was a challenge worth taking, though it took a heavy toll on us." The production rate was 250 packs of six pieces each a day. Each pack was sold at Rs 26—against an average market price of Rs 35. A profit margin of Rs 16 was still significant. Their lives got better and they started contributing to their family incomes and came the basic essentials like kitchenware, flooring and clothes for their mothers and siblings. But the sales dipped after a while. The product and its packaging did not match market standards. 'Happy Choice' did not have flaps that fold over the sides to help prevent the fluid from leaking. The packaging in an ordinary polythene cover with a sticker attached was also below standard. To improve, they needed a packaging machine and a machine that would make and attach wings to the pads. But it would mean another investment of about Rs 900,000. Starved of funds, the two had to temporarily close their unit and have set out on an investment hunt. "So far nobody has come forward. But we will keep striving till we get it. And we are sure it is about 'when' not 'if'," Mir said. But the awareness campaign is on. "We will keep talking about menstruation till everybody talks about it without attaching a taboo," Khan intervened. "The battle is on. We have not lost it. We have paused it."